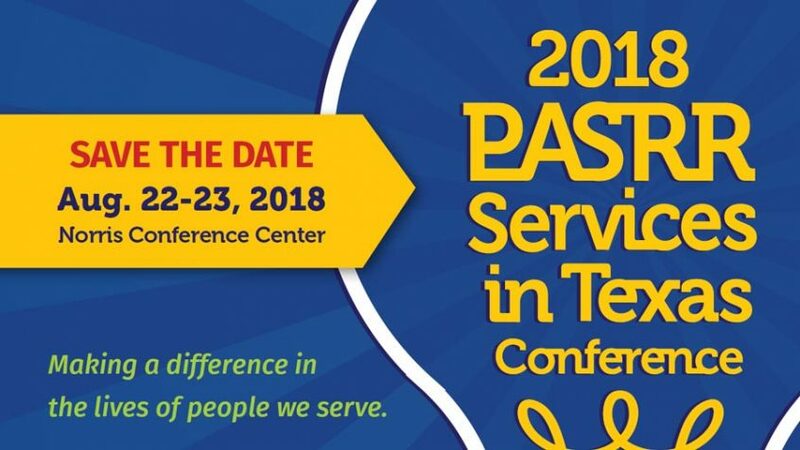 Attention Texas Providers: Texas Health and Human Services (HHSC) has announced a valuable training conference for everyone involved in Texas PASRR. Click here to download flyer. CEUs will be offered (additional details provided at the time of registration). Nursing facilities, LIDDAs/LMHAs, hospital social workers and discharge planners, and program recipients and their families. Registration information has not been provided yet by HHSC. When it is, we will pass it along to customers. In the meantime, please email PASRR_Conference@hhsc.state.tx.us if you have additional questions. Note: SimpleLTC is not involved in the planning or hosting of this event. Please contact HHSC for more information. Thanks, Cynthia! Glad you find them helpful.